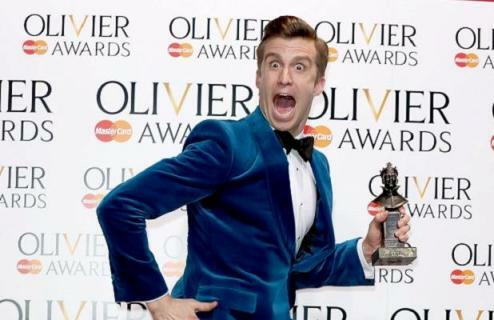 The comedy musical about Mormon missionaries won Best New Musical, Best Actor (Gavin Creel), Best Performance in a Supporting Role in a Musical (Stephen Ashfield), and Best Theatre Choreographer (Casey Nicholaw). South Park creators Trey Parker and Matt Stone added four Olivier Awards to their belts as their Book of Mormon stage musical won top kudos at the British theater honors. The Book of Mormon Broadway musical grossed $1,689,905 and had an attendance rate of 102.6%, same as that of the previous week. The Book of Mormon in the 3rd position behind Wicked (Grossing $2,769,554) and The Lion King (Grossing $2,543,377). The 37 shows on the boards grossed $35,365,321, improving around 19.19% from the previous week’s totals. Below are the Top 10 Grosses from BroadwayWorld.com for the week ending April 20, 2014. The Book of Mormon Broadway musical grossed $1,586,091 and had an attendance rate of 102.6%, same as that of the previous week. The Book of Mormon in the 3rd position behind Wicked (Grossing $1,930,362) and The Lion King (Grossing $1,914,937). The 37 shows on the boards grossed $28,579,887, improving around 5.97% from the previous week’s totals. Below are the Top 10 Grosses from BroadwayWorld.com for the week ending April 13, 2014. The Book of Mormon Broadway musical grossed $1,598,000 and had an attendance rate of 102.6%, same as that of the previous week. The Book of Mormon in the 3rd position behind Wicked (Grossing $1,806,067) and The Lion King (Grossing $1,683,062). The 36 shows on the boards grossed $26,873,434, dropping around 5.33% from the previous week’s totals. Below are the Top 10 Grosses from BroadwayWorld.com for the week ending April 06, 2014. The Book of Mormon Broadway musical grossed $1,638,380 and had an attendance rate of 102.6%, same as that of the previous week. The Book of Mormon in the 3rd position behind Wicked (Grossing $1,946,536) and The Lion King (Grossing $1,885,162). The 35 shows on the boards grossed $29,088,089, improving around 8.92% from the previous week’s totals. Below are the Top 10 Grosses from BroadwayWorld.com for the week ending March 30, 2014.